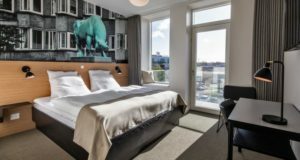 Scandic Hotels has signed a long-term lease agreement with property company Vasakronan to cover the operation of a new hotel in the Platinan block, part of the new Älvstaden urban development project in Gothenburg. 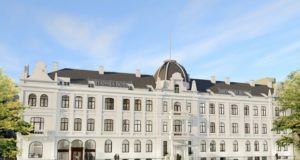 Expected to be completed by the end of 2020, the property will be located in central Gothenburg, a few hundred metres from the train station. 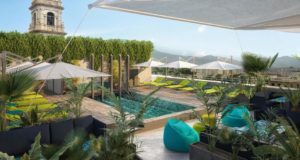 It will have 362 rooms, 15 conference rooms including a multifunctional meeting and event space of almost 1,000 square metres for up to 900 people, a relaxation area, restaurant and rooftop bar. 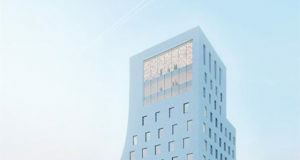 Scandic promises that the building will be a “new landmark” in the city, characterised by transparent architecture featuring big glass cubes. Similarly, it will have a clear environmental profile and include abundant greenery. 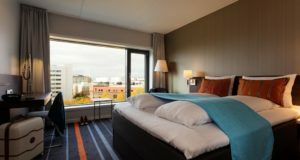 Scandic already has five hotels in central Gothenburg and two others in the region. The new hotel will be part of a dynamic central area that is under development in the city. 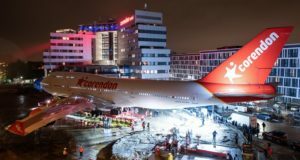 The city centre is expanding as extensive investments in infrastructure such as the Västlänken rail line, the Götaleden highway and Hisingsbron Bridge are being implemented. Many new office buildings will also be built in the area.